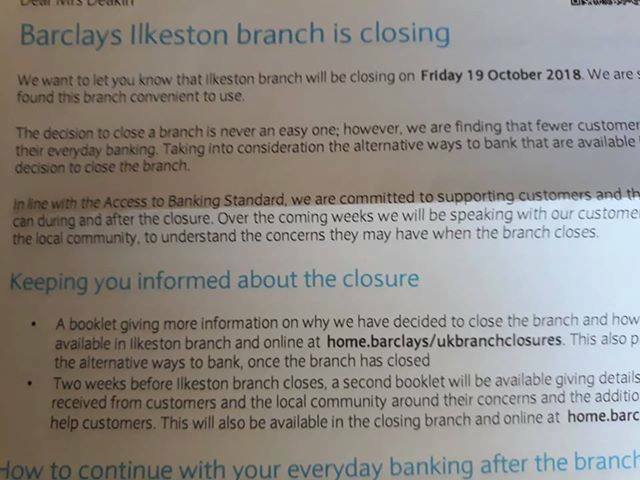 Barclays Bank in Ilkeston to close…. Barclays Bank in Ilkeston to close. Barclays are closing their Ilkeston branch on Bath Street on 19th October 2018, customers have been told. Barclays say Ilkeston account holders will have to use Heanor, Long Eaton or Beeston branches for face to face enquiries..